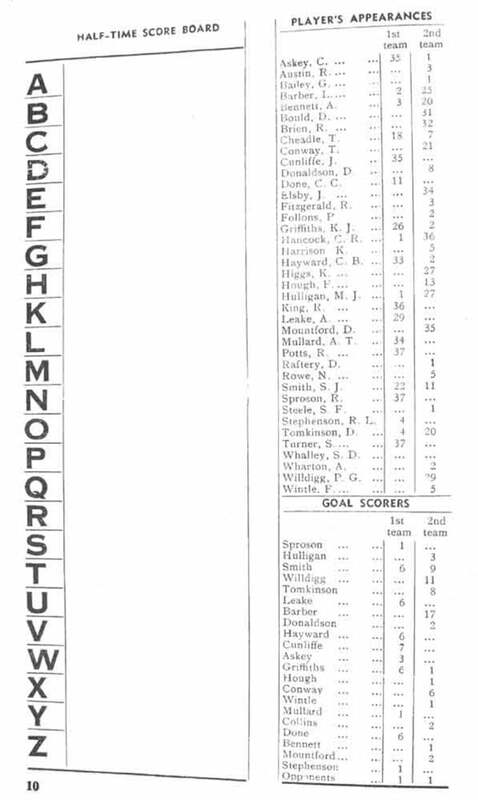 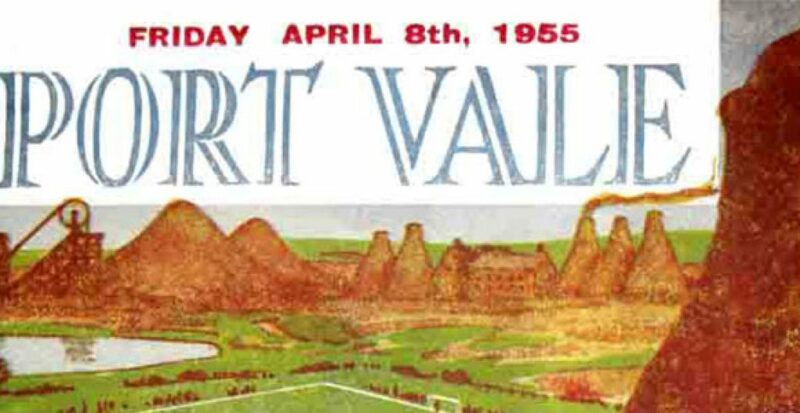 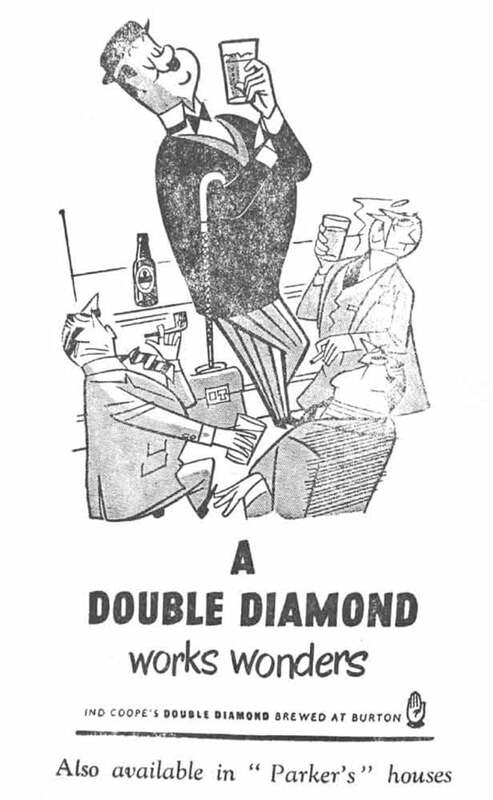 Thanks again to Stuart Dean, we present a leaf through the pages of a vintage Port Vale programme – this time the publication that accompanied the league game against Liverpool in 1955. 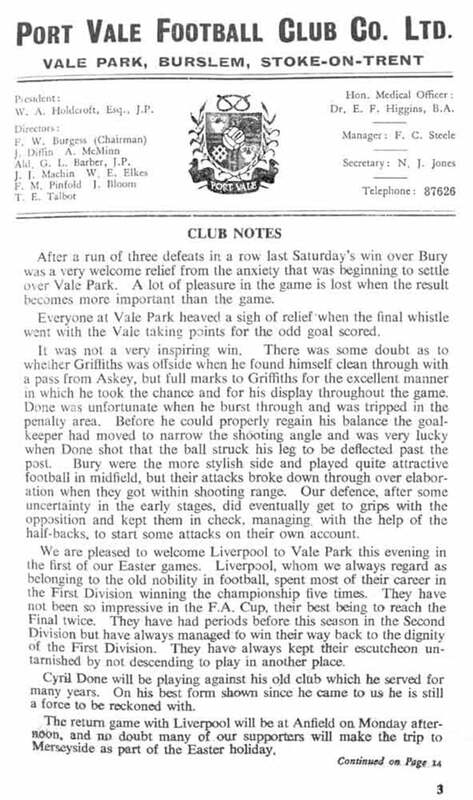 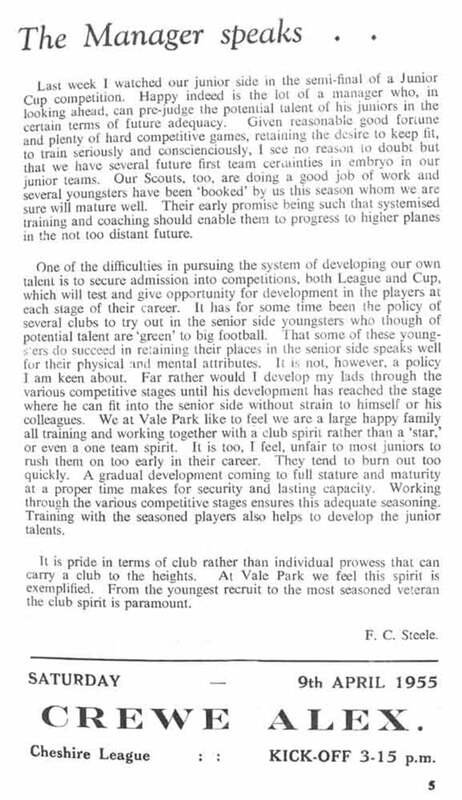 Vale had just enjoyed the most successful season in their history thanks to their Iron Curtain side and were now established in the second division. 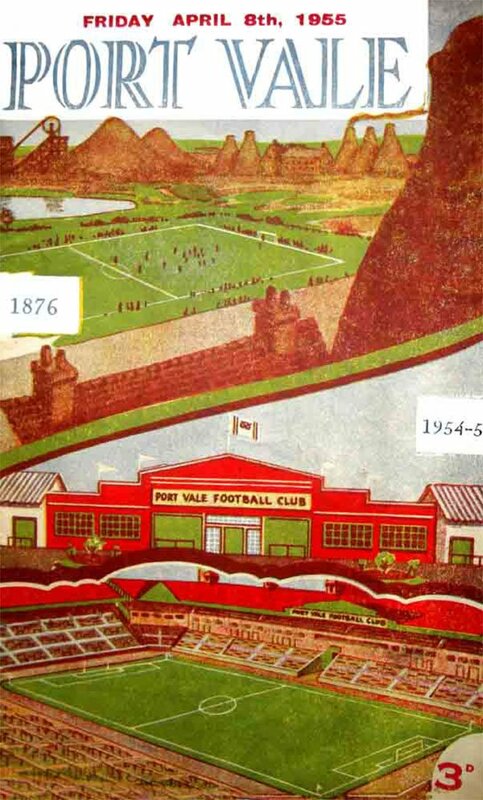 The home game was Vale’s second home fixture in the space of six days. 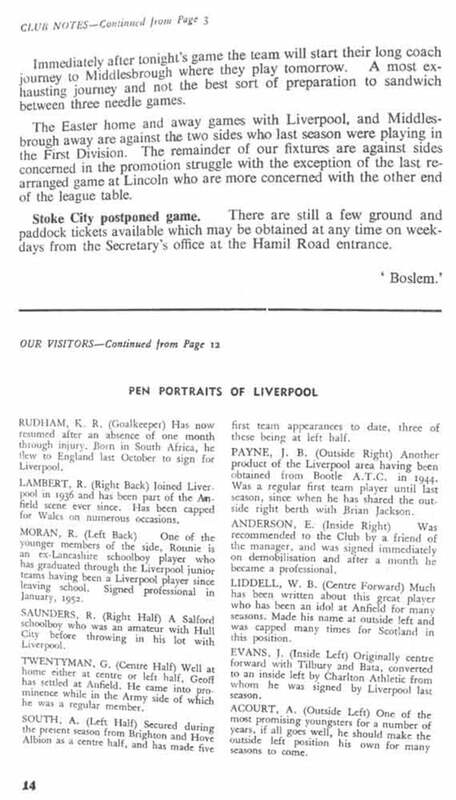 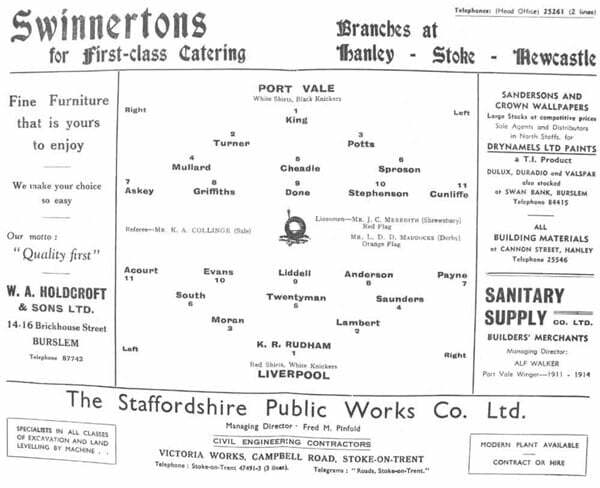 They had defeated Bury 1-0 thanks to a Ken Griffith strike but the Liverpool game was an altogether more entertaining affair. 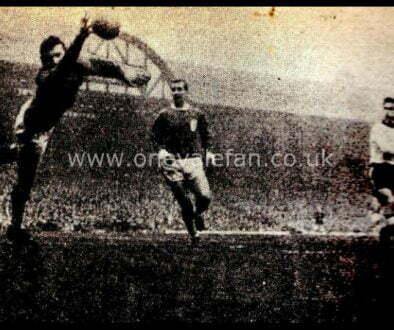 Vale triumphed 4-3 thanks to four goals from Cyril Done (one a penalty). 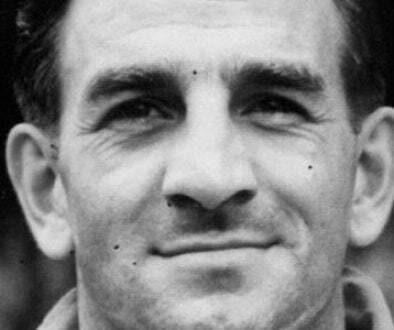 Done had transferred from Anfield to Vale Park in December 1954 and his goals against his former club were four of 34 goals he scored for Vale in just 52 league games. 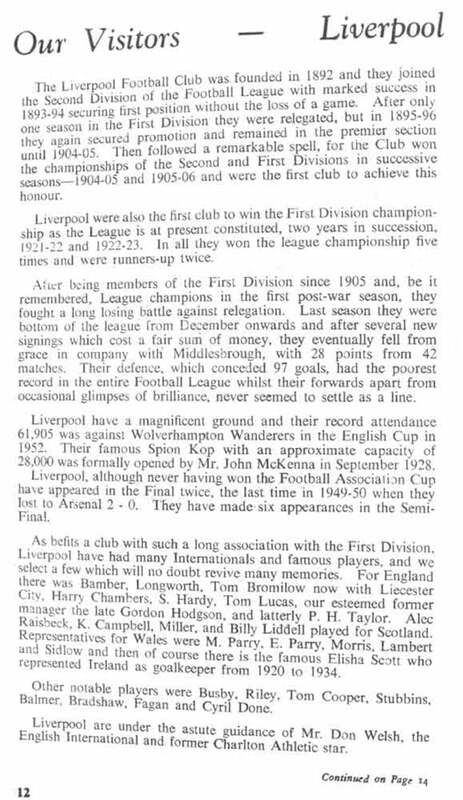 The Valiants finished in 17th place that season while Liverpool ended the season in 11th place. 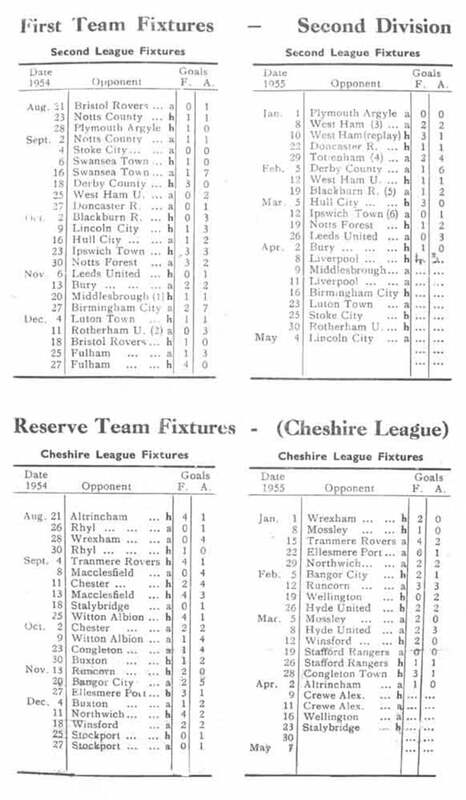 Done ended up as Vale’s top-scorer with 13 goals in just 18 appearances.